Robert “R.D.” Evans is gone from WWE, reportedly over a situation that developed during the Hall of Fame ceremony this past weekend. There was an incident during the ceremony that led to Evans either being fired or qutting on the spot. He wrote a line during Bret Hart’s Hall of Fame speech where Hart thanked Vince McMahon for giving him and Jim Neidhart their break together. Writers were either told ahead of time or it was expected that they knew that McMahon’s name was not to be mentioned in any speech. Evans claimed that rather than being fired, he quit, writing so on Twitter. One person who was there said that as he was being berated, and was about to be fired, he quit on his own. It was explained that the attack on Bret caused such a frenzy that it created a very tense atmosphere backstage when the speech was over. The incident took place right after Hart & Neidhart’s speech was over, and it was something of a you can’t fire me because I quit scenario. Whether Vince was in a bad mood because of the attack on Hart ruining his planned show, he was furious when it was over and tore into Evans, even though the thanking of Vince was on the teleprompter, meaning it had gotten through a number of channels after Evans wrote it. One person said that it’s possible it could have been resolved but Evans quit. 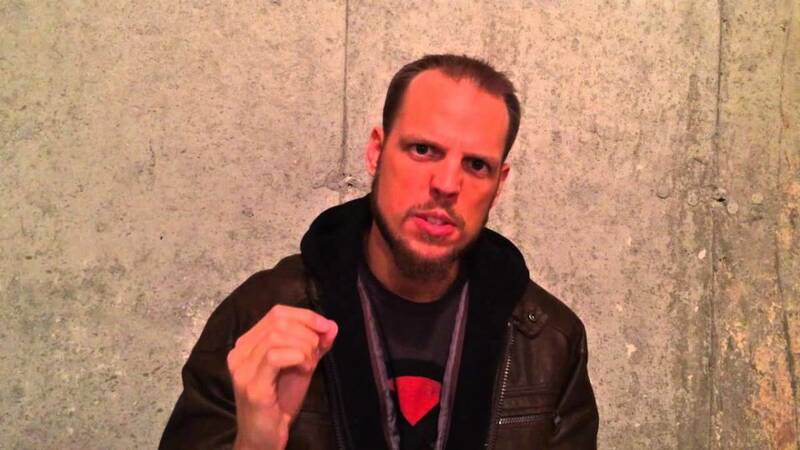 Evans is best known for portraying a number of characters in Ring of Honor and CHIKARA before joining WWE as a writer in 2016, including Archibald Peck and Mixed Martial Archie.